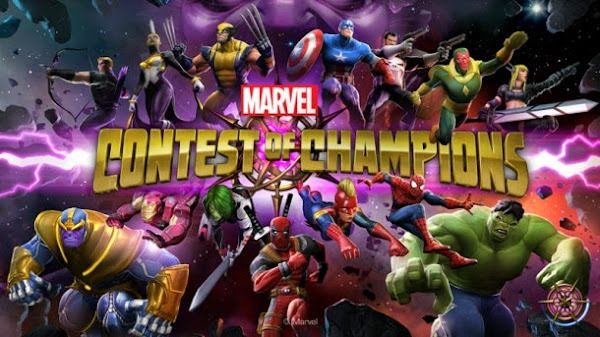 Marvel Contest of Champions is a highly addictive fighting game, based on characters from the Marvel comic book universe. The game has various types of in game currency including gold, battle chips and units. The hardest of these to come by are units, and the following steps will show you how to get some units for free. You get units when you complete a quest for the first time. You can get units from quest crystals as well but they are very rare. While its easy to get tempted into spending your units on premium hero crystals or the special 150 units crystals that come up or so often, I would suggest saving them up for special offers. On certain occasions, the game gives you offers to buy a 3* hero for 400 units, or a 4* hero for 2500 units. If you want to quickly save up on units, the best way is by fighting in Arenas. When you fight in Arenas, you earn battle chips. These battle chips can be traded in for Arena Crystals. You need 20,000 battle chips for 10 Arena Crystals, and in my experience i would advise you to save as many battle chips as you can before you start spending on Crystals. I would also suggesting opening a total of ten Crystals at a time... I have found that you have a better chance of winning units through Arena crystals when you open multiple crystals rather than opening one at a time. In order to compete in multiverse arenas, you need champions... Since three stars are harder to come by, you should start building your two star roster... Don't sell any of your champions, as you need a team of three heroes to enter an arena. The larger your team, the more battle chips you can earn. This event comes around once a week, mostly on Sundays, and lasts 24 hours... You have four milestones to cross, and each milestone will award you with a 2* hero crystal... Those who reach top ranks on the Crystal Cornucopia event can earn an additional 5 Premium Hero crystals. Once you have built up a strong team of 2* and 3* heroes, you can start playing for the 3* and 4* champions in the events. Even if you don't win at these events, you are gaining lots of battle chips which in turn yield precious Units! The more you play in the 3 and 4 star champions event, more Units you can gain indirectly. Happy Battling summoners and hope to see you in the contest. Be sure to head over to our Marvel Contest of Champions forum to discuss your gameplay and check out some useful guides to the game.